Implants & Family Dentistry You Can Trust! 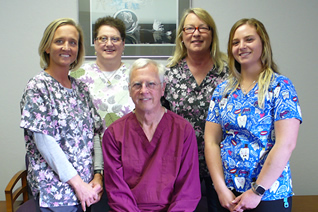 Dr. Logan offers complete dental services for both children and adults to help you maintain a beautiful, healthy smile. Our dental services include routine preventive dentistry, restorative dental care, cosmetic dentistry, and providing important information to help educate our patients. call our office at (517) 592-3003. Dr. Logan sees patients on time.